When I participated in Jamie Broadnax’s Black Girl Nerds podcast (archive here), I mentioned advertising demographics. I can see from the Twitter commentary that people confused “advertising” with “covers” and, since 140 character chunks of data aren’t the best way to express subtle concepts, I’ll talk about it here. 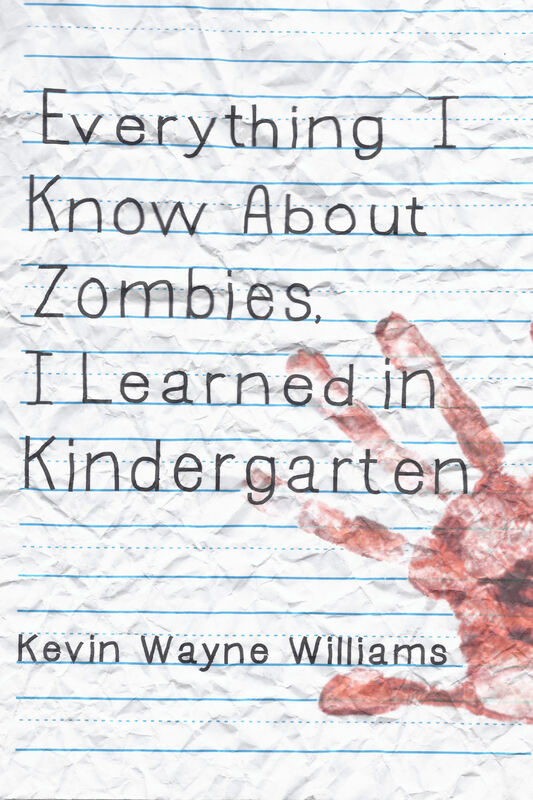 First, the primary cast of “Everything I Know About Zombies, I Learned in Kindergarten” is black and Hispanic. Black, Puerto Rican, and Dominican, if you want to be precise. I don’t hide that, and don’t believe that I ever should. 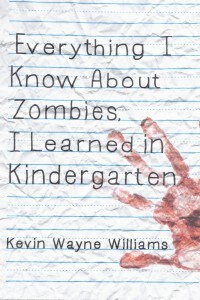 My cover is a graphic cover: a picture of a crumpled schoolpaper from the hand of a dead child. My back cover makes no bones about exactly what kind of child left that handprint. No skin-tone lightening, no whitewashing. Anybody that picks up a copy of the novel has no doubt that they are holding a novel about a black girl that has gotten herself into serious trouble. Advertising, though, has been interesting. When I’m advertising, I need to get people to click and read further. My first ads were all variations on this one: a girl representing Letitia looking out at you, with a review snippet or commentary next to the picture. This ad played quite well at first, but petered out after a while. Twitter ads do that: Twitter is a place for novelty, and you need to mix it up. The other thing I found was that the ad got good click rates in Britain and in heavily black sections of the United States, but essentially no one in the Midwest or Southwestern US would click on it. Since half the cast is Hispanic, I didn’t feel that I would be diluting anything by introducing ads featuring Rosarita, a six-year-old Puerto Rican character that has, unfortunately, learned that homicide solves a large number of problems. These ads had the desired effect: the American Southwest began to click on the ads, and I started to see some purchases there. I did some ZIP code tracking in New York, and what I found was that the two ads had click-through rates that I could map against the census. Rosarita played better in heavily Hispanic areas, and Letitia played better in primarily black areas. My final tweak was to introduce ads featuring Jose. This picture, featuring a dark-skinned Puerto Rican boy of the appropriate age, plays well in both black and Hispanic areas, and gets better results with male audiences than either of the other two. The Midwest? Sorry. Except for pockets around St. Louis, Detroit, and a few other places I can identify a substantial black or Hispanic population, it just doesn’t happen. In primarily white areas of the country, none of these ads get a response. My conclusions from all of this? The first is that publishers that insist that the character portrayed on the covers and ads will affect sales aren’t stupid: they’re right in that people will respond most heavily to images that they perceive as resembling them. The second is that this means that anyone interested in getting books featuring diverse characters into the market has to address the issue of getting publishers to perceive those different markets as being large enough to court. The third conclusion is the worst one: I don’t know how to fix either of those problems. I do remain convinced that denying that they exist isn’t the solution. If we want a diverse supply of books, somehow we have to ensure that a market for diverse books exists.